Participating Clubs will run contests with the winners participating in several “Speak off” contests. Three finalists will compete at the District Conference. The contests could serve as part of fundraising dinners. Each club pays a contest fee of $150.00 per student towards prizes and food for participants following the contest. All fees will only be used for the contest. The three finalists will receive $500.00, $400.00, and $300.00 respectively. Individual Clubs may award prizes as they see fit. 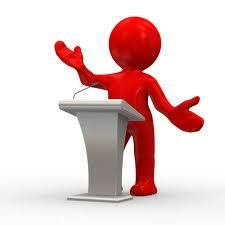 There will be no prizes offered by the District at preliminary “Speak off” contests. The above preliminary information is subject to input from participating clubs. Please email your club's interest in participating to Shel Hyman. YES, I would like to participate on the Committee to establish the final rules.